In 2018, a TANGLED restaurant will debut on Disney Cruise Line’s Disney Magic. This TANGLED restaurant is in addition to a new space for teens and a redesigned café for adults on board the Disney Magic. In 2013, the Disney Magic was “re-imagined” with a 3-story drop slide called AquaDunk, Marvel’s Avenger Academy, and an Irish-themed pub called O’Gills. We were on board for the 2013 unveiling. Click here for a full report on how the Disney Magic is perfect for Dads. The TANGLED restaurant is just one of the new additions coming to Disney Cruise Line’s Disney Magic. 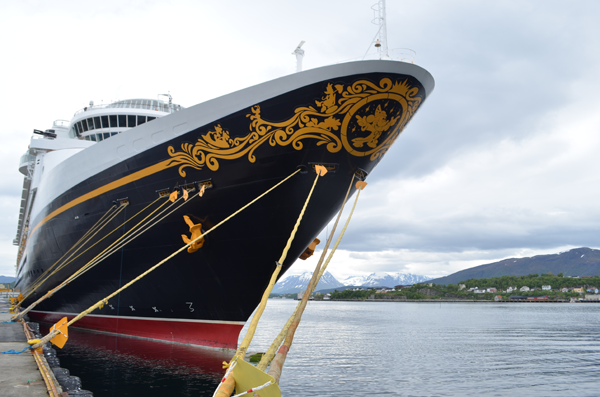 Continue reading for all the details, photos, and videos from Disney Cruise Line’s press release. Guests will step inside a regal ballroom in the royal castle, lit by glowing wish lanterns and adorned with colorful drawings that reflect Rapunzel’s artistic talents. Here, the King and Queen of Corona invite everyone to take part in a festive celebration of Rapunzel’s birthday and the anniversary of her return to the kingdom. Vibe, the space on the ship reserved for teens ages 14-17, is being transformed into a trendy urban loft environment. At Vibe, teens can enjoy a new coffee and smoothie bar, play video and virtual reality games, and check out other cool activities like a DJ spin-off and movie making. Activities at Vibe are organized and hosted by trained Disney counselors who facilitate the fun and interaction among teen guests. Elsewhere around the Disney Magic, other enhancement highlights include the addition of Club Disney Junior in Disney’s Oceaneer Club for children and a redesigned Rainforest Room with steam and hydrotherapy in Senses Spa for adults. The new enhancements debut on Disney Magic starting March 9, 2018, on sailings from Miami, FL. 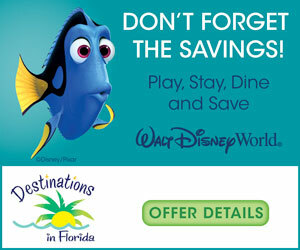 The four- and five-night Disney Magic sailings from Miami visit Key West, FL; Nassau, Bahamas and Disney’s private island, Castaway Cay. Beginning on May 14, 2018, the Disney Magic repositions to Europe for the summer season. These additions are part of an overall commitment by Disney Cruise Line to invest in their ships, helping to deliver incredible family vacation experiences for years to come. While making these enhancements to the Disney Magic, crews perform regularly scheduled and wide-ranging maintenance to keep the fleet in tip-top shape, further demonstrating the unwavering commitment by Disney Cruise Line to continually elevate the guest experience.